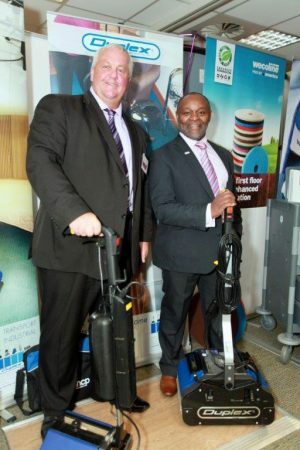 Hot on the heels of their award winning performance at this years AHCP Professional Development Forum Duplex’s dynamic duo Barry Wilmot & Mike Conroy were on hand to entertain delegates with their unique high performance cleaning machine’s. This years AHCP Southern Branch study day held on 22nd November at the West Suffolk Hospital Educational Centre was fun, enlightening and educational as delegates were once again treated to the value/benefits of using Duplex in their respective environments. As always Duplex has been amazing on supporting another Southern Branch Study Day.